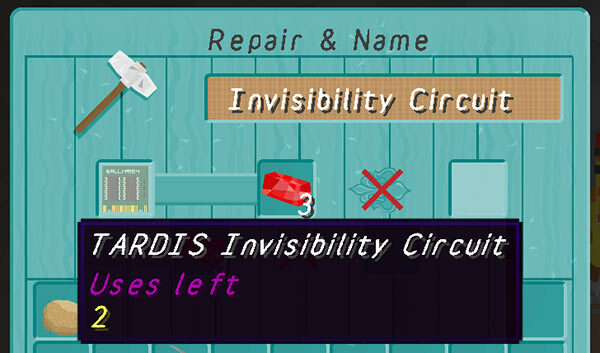 If configured (difficulty: hard and damage: true), circuits can become damaged after use. 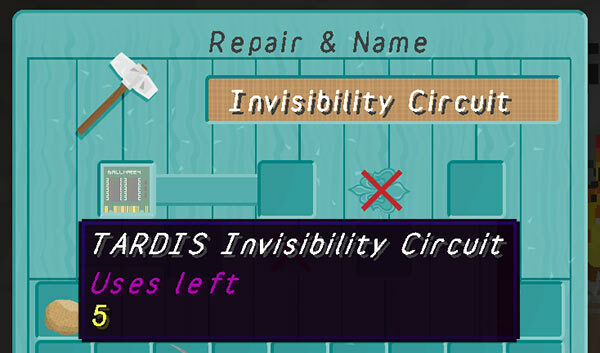 When the tardis malfunctions there is a 50% chance that a circuit will become damaged even more than usual. Circuits can be repaired by combining them with redstone in an anvil. You need to click the output slot to make the repair. One redstone gives one level of use. damage: [true|false] — whether circuits get damaged after each use. Setting this to false (the default) means circuits have unlimited uses. 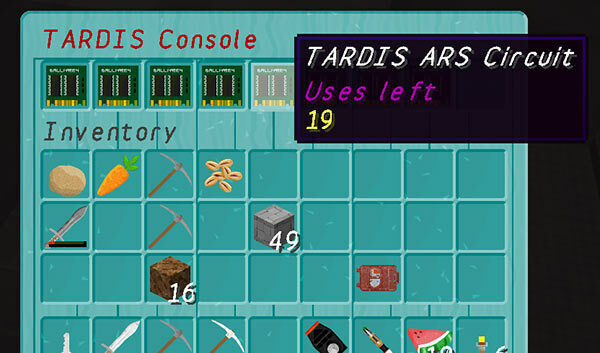 uses: <circuit>: [amount] — set the maximum number of uses a circuit has before it is vapourised. Setting this to 0 gives unlimited uses for that circuit.